Postcard showing the Reformation Lutheran Church in New Market Virginia. 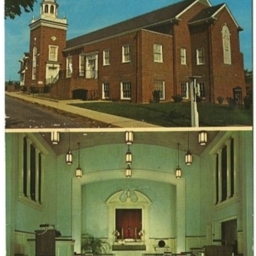 Card shows both an exterior shot of the building, constructed in 1955, and an interior view. 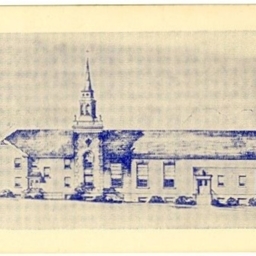 Postcard showing a drawing of Reformation Lutheran Church, then called Emmanuel-St. Matthew's, while it was under construction. Card was produced to encourage contributions.